Stock # 11324, 3.6L V6, 9-Speed Automatic, 9 mi. 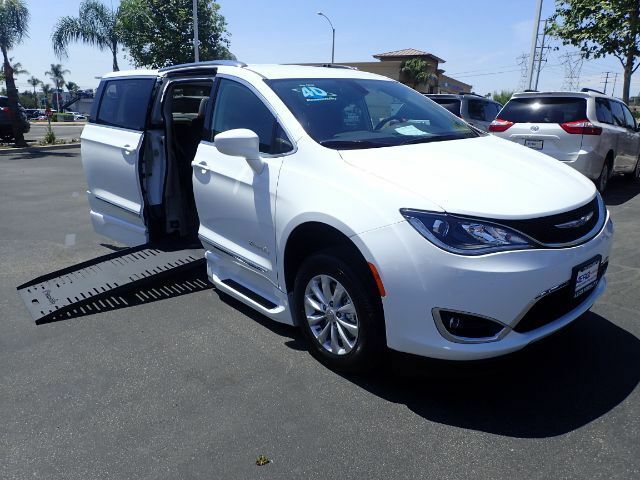 With front seats that are removable, this 2018 Chrysler Pacifica XT has plenty of interior room for a chair rider to drive or ride comfortably in the first row. Converted by BraunAbility with an automatic 30" wide foldout side-entry ramp. A stunningly bright white exterior with deep tinted windows looks great with jet black leather seats and second-row privacy shades. Call (877) 325-4000 for more details.